What is Go To Team’s goal for the apprenticeship? Our goal is to develop passionate storytellers into Directors of Photography. The position is to be filled by someone who can tell a story. When reviewing reels we look for signs of potential for great shooting. Many of our best candidates have superb b-roll and some interview samples but haven’t had the tools or training to light large interviews. Moreover, we look for someone with a great attitude. I’ve applied before, should I apply again? Absolutely, we often see repeat applicants and if anything like to see the positive progression. We do recommend updating your reel with your newest and best pieces every time. One of our accomplished Directors of Photography. Will I be anyone’s personal assistant, answering phones, or washing cars? No. The Go To Team Apprenticeship isn’t easy. It is a challenging experience for storytellers that want to be their best. “You will be running audio, lighting, producing, and learning every aspect of high-end video production.” You will not be involved with the shipping department, secretarial pool or tape library. However, you may serve as a Production Assistant on location because we find that to be a valuable learning experience. I saw the position is part of the Federal Apprenticeship program, what is that? Go To Team Director of Photography is unique in the landscape of creative positions in the nation. It is part of the Federal Apprenticeship program, ensuring only the highest standards of training and process. You can learn more about the Federal Apprenticeship Program here. In the US there are very few opportunities for Apprenticeships in the creative industry and our belief is that it affords individuals the very best opportunity to move their career forward. Am I guaranteed a Director of Photographer position with Go To Team? No. The DP distinction is based on clients, types of shoots and multi-camera management. However several GTT DPs were all former apprentices. We hope to move every apprentice to a Director of Photography position. You are certain to become a great storyteller. The apprenticeship is only the first 12 months of the cameraman contract. Yes, it takes 3 -5 years to develop you into a Director of Photography. We typically get more than 50 entries per position. Do you expect me to take a pay-cut to take this position? No. Please only apply if you’re comfortable making around $30,000 your first year. There are opportunities to make more money each year as you grow in experience and grow your city. Do I need a personal vehicle or will one be provided? Yes, you need a personal vehicle. Our DP will not pick you up for work each day. You will be reimbursed mileage if your personal vehicle is used for a shoot. Will there be travel or long hours? Absolutely. Go To Team’s clients shoot nationally and internationally and there is no better experience than traveling with one of our crews on a long assignment. It is not uncommon to work more than 4 shoot days per week. However, some weeks might be very slow. Will Go To Team bill for my services? 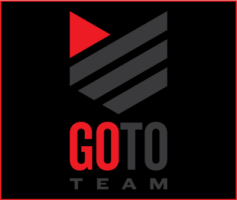 Yes, Go To Team is a profitable corporation and intends to bill our clients for your services. However, we see a much greater value in creating a long-term relationship with a well-trained Director of Photography, than using the position to waste a good photog’s valuable time. Can’t I make a lot more money shooting freelance for these same clients? fully capable camera or sound person. Are there other ways to work with Go To Team? Yes, we have a large list of freelancers including audio operators, grips, producers, and camera operators. We book these positions as needed to supports our Staff Cameramen and make our clients’ lives easier. If you are already a freelancer in the southeast please submit your contact information to us. Click here for our Contact Us page. Return to the Apprenticeship page. Our DP David DiFalco talks about Go To Team and the Apprenticeship program in our podcast.